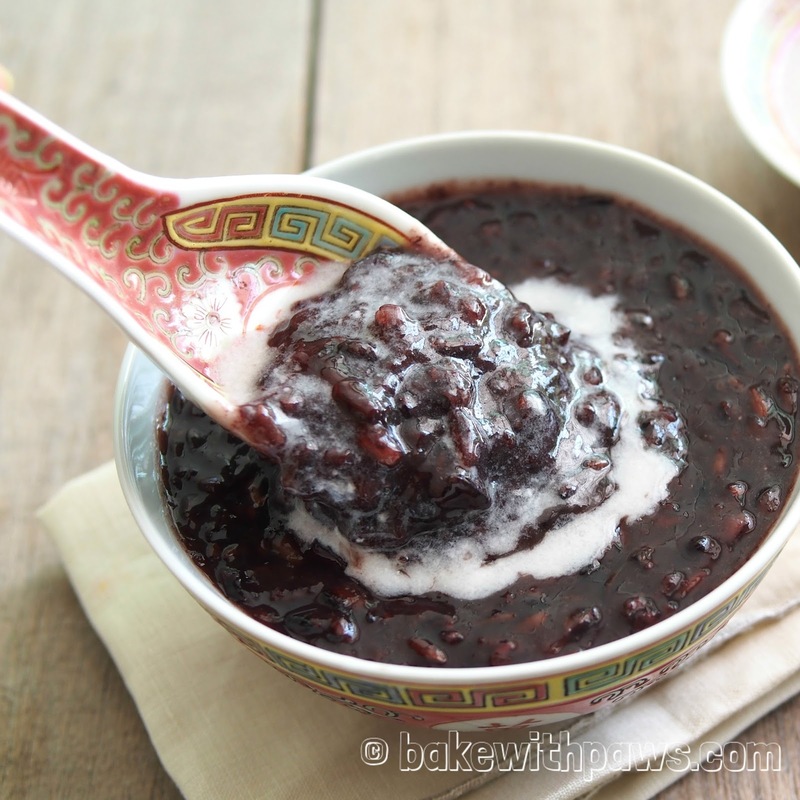 Black Glutinous Rice Dessert! In Penang we call it Bee Koh Moy and in Malay is Pulut Hitam. I managed to buy some organic sticky black glutinous rice during our last visit to Bangkok which I cooked last night. Cooking Bee Koh Moy reminds me of my late granny. She loved to make this for us as breakfast. I remember she would slow cook it over a charcoal stove from the night before. She also shredded the coconut and squeeze out the milk early in the morning, all by hand. We would enjoy Bee Koh Moy for breakfast before leaving for school. 1. 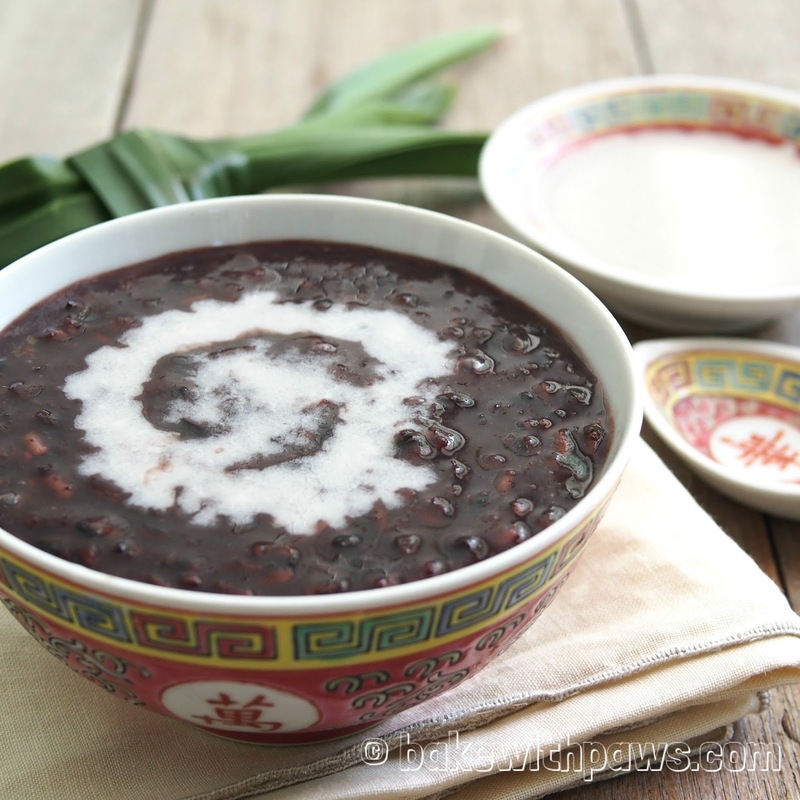 Wash and rinse the glutinous rice thoroughly and soak in water for several hours or overnight. 2. Add glutinous rice, water and knotted pandan leaves into a pot and cook over medium or low heat for 30 to 45 minutes until soft and break up (with lid cover). Stir constantly and check regularly the water level. 3. Once the rice is soft, add in sugar. If it is too thick add some water until your desired consistency. Remove from heat. Serve glutinous rice dessert in a small bowl topped with coconut milk mixer. You may also make this in a slow cooker.